You don’t often see badges or bumper stickers with slogans like that. The antinuclear ones are all over the place. If future historians look back on this era perhaps they’ll conclude that a major factor influencing our failure to decarbonise rapidly enough was that the environmental movement put its resources into campaigning against the wrong power source. Though other future historians would say nah, don’t be silly. The greens were never that influential. 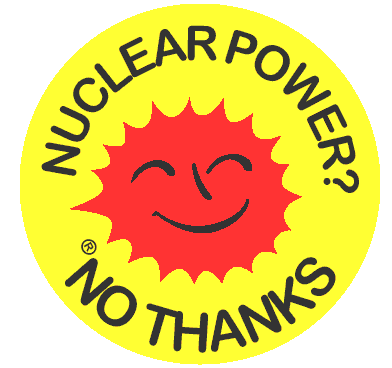 But the antinuclear movement has run a very effective campaign. They’ve managed to shut down fast breeder research in the US whilst also persuading a few nations to abandon nuclear, most notably Germany which turned to coal and intermittent renewables, but mainly coal, increasing its emissions considerably. 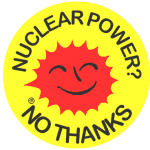 It was a failure of risk assessment – the tiny risk of nuclear was able to terrify more people than the far greater risk of carbon emissions and climate change. That was often how things worked. People feared cancer for more than heart disease, though heart disease was the more prolific killer. Whilst many have intense fears of flying, statistically one of the safest modes of travel, few fear the far more dangerous activity of travelling in a car. Fears are rarely entirely rational, but neither are they entirely irrational. Fear of radiation is understandable. You can’t see it or smell it, no matter how intense it may be and you know that if intense enough it could cause your hair to fall out, your skin to fall off and you could suffer a very gruesome and painful death. It doesn’t matter that there is natural background radiation around us all the time. Measurements of radiation levels don’t mean much to most people. Is 8 millirems a large dose of radiation or a small dose? Over what period of time? If you’re a skilled campaigner you can terrify people with the dose of radiation equivalent to what you’d get on a two-week holiday to Cornwall, or a few dental x-rays. The risk associated with nuclear power is also closer to home than any risks someone might perceive as being associated with climate change. Of the 400,000 deaths a year resulting from climate change, the vast majority, are among the poorest people in the poorest countries. Few living in a country like Britain would imagine that they might be killed by anything remotely related to climate change, but they can certainly imagine a nuclear power station going up, a huge mushroom cloud, millions of deaths – and then some post-apocalyptic scenarios. 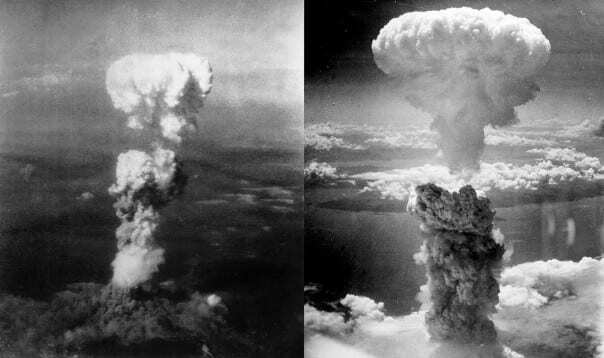 Films from the Cold War era, images of Hiroshima and Nagasaki are more frightening than the idea of a gradually warming world to someone living in the country that could do with a bit more warmth. Even if people don’t intellectually have such a cartoonish perception of things, the emotional perception may well be that simplistic and it’s our emotional perception that is going to have the greatest impact on our fears. Ideas that survive and propagate themselves are not necessarily the ideas that are most useful to their carriers. They can in fact be the cause of their carriers’ destruction and thus of their own destruction. Unless the carriers are able first to realise that they’ve given birth to a destructive virus meme which needs to be eradicated.